A closer look at what a recent interaction means in the context of the security cooperation ongoing between the two sides. This week, Thailand’s chief of the directorate of joint operations paid a visit to Vietnam in yet another official exchange between the two Southeast Asian states. The interaction highlighted the ongoing activity on the defense side of the strategic partnership that both sides have forged over the years. As I have noted before in these pages, the defense realm has long factored into wider cooperation between Vietnam and Thailand in their relationship, which, though characterized by animosity for much of the Cold War, has been warming somewhat in recent years, with ties officially elevated to the level of a strategic partnership back in 2013. 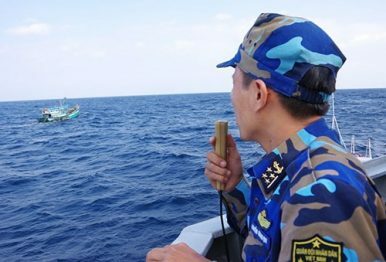 The security aspect of ties has covered various areas, be it opportunities for collaboration between the services or addressing challenges such as transnational crimes or the regulation of fishermen in maritime boundaries. Both sides have also been looking to further boost their defense collaboration, whether in terms of holding dialogues and setting up hotlines, stepping up visits and training between the various services, or increasing the sharing of experiences in areas like UN peacekeeping operations and humanitarian mine action. This week, Vietnam-Thailand defense ties were in the spotlight again with the visit of Parinya Khoonnasee, who serves as the chief of the directorate of joint operations in Thailand, to Vietnam. During his visit, Parinya met with a range of Vietnamese officials, including Deputy Defense Minister Nguyen Chi Vinh, to discuss elements of bilateral cooperation as well as other regional and international issues. Thailand and Vietnam are set to assume the annually rotating ASEAN chairmanship in 2019 and 2020, respectively, following Singapore’s turn this year (See: “Where Are ASEAN’s Defense Initiatives Under Singapore’s Chairmanship?”). According to Vietnamese state media, both sides reviewed progress in the defense relationship in recent years, including in terms of visits and exchanges. They also expressed their hope that the two sides could further expand their collaboration in several areas, including in search and rescue and humanitarian assistance and disaster relief. Unsurprisingly, few additional specifics were issued following the meeting. But as visits and exchanges continue through the year and onto 2019 and 2020, where both countries will take turns to chair ASEAN, the defense component of the Thailand-Vietnam relationship will continue to be an interesting area to watch. A recent interaction spotlighted the defense aspect of ties between both sides.